On April 17, 2017 a fire destroyed over 30 years of scenery and props stored at Sharon’s School of Dance and The Sidney Dance Company. 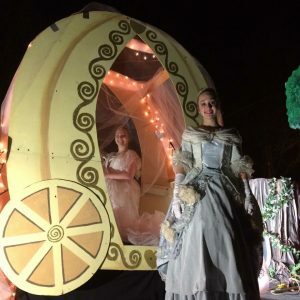 Castles, carriages and country sides created by dedicated and loving artists and local residents, reused throughout the years in numerous shows like: Cinderella, Shrek The Musical Jr., Narnia: The Lion, The Witch and the Wardrobe, Snow White, Nutcracker and many more are gone. Countless hours spent constructing, painting, rehearsing with and moving will have to be redone for future generations of shows. 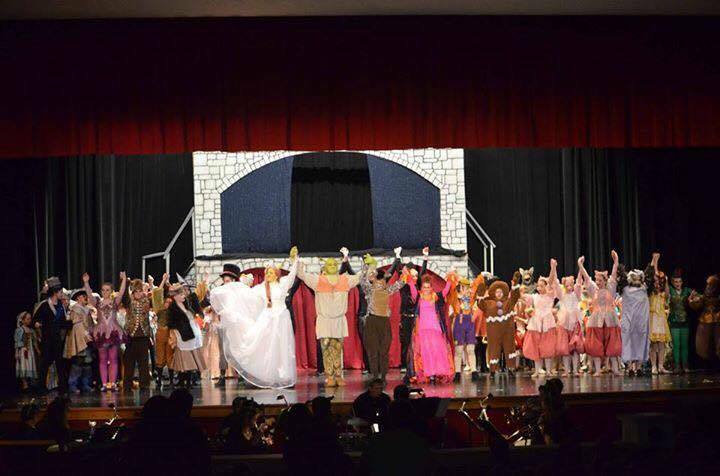 99% of Sidney Dance Company and Sharon’s School of Dance props and scenery were lost at an estimated value over $45,000. Hundreds of costumes are now being cleaned from smoke damage. Volunteers are helping out by taking costumes home in hopes of getting rid of the heavy smoke smell so as not to loose more of the history and character of this studio. The Sidney Dance Company is calling out to the theater and dance community for support to help this studio. Please support Sharon’s School of Dance and The Sidney Dance Company in any way you can. No amount is too small. The Sidney Dance Company is a registered 501(c)3 charitable organization, so all donations are tax deductible. 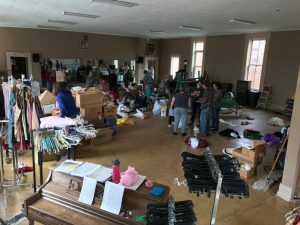 If sending cash is not your style, the Sidney Dance Company has started an Amazon registry (http://a.co/bkAKUNb) for items needing replacement and cleaning supplies. Purchased items may be dropped off at the studio. This entry was posted on July 17, 2017 by Stephen. It was filed under Fund Raising and was tagged with Fire Relief, Fund Raiser, Sharon's School of Dance.